Fresh ground lemongrass stems are used to make Angkor Cambodian Food's Lemongrass Paste and Lemongrass Salad Dressing. The lemongrass to delivers a refreshing blast of flavor and distinctive aroma. Lemongrass (Cymbopogon nardus) is a genus of Asian, African, Australian, and tropical island plants in the grass family. Some species are commonly cultivated as culinary and medicinal herbs because of their scent, resembling that of lemons. Lemongrass is widely used as a culinary herb in Asian cuisines. 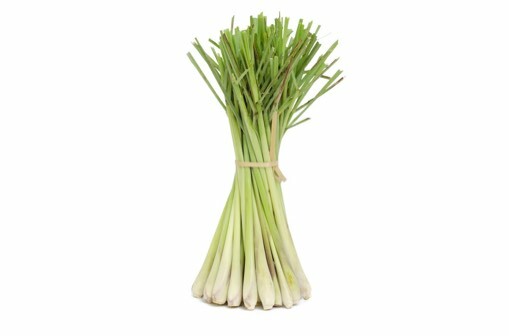 Ground lemongrass stems have a smooth texture, a hint of sweetness, tangy and have a lemony aroma. Cambodian cooking uses both stems and leaves of lemongrass depending on the dish being prepared. The health benefits of lemongrass include relief from stomach disorders, insomnia, respiratory disorders, fever, aches, infections, rheumatism, and edema. The defensive antioxidant activity of the lemongrass herb protects against antibiotic-resistant Staphylococcus aureus and helps in maintaining optimum cholesterol levels, cellular health, nervous system, healthy skin and immune system. It is also effective in treating type 2 diabetes, cancer, and obesity, while also aiding in detoxification. It is extensively used in aromatherapy and helps combat fatigue, anxiety, and body-odor. Learn about lemongrass on WebMD.